Iskander Belguedj - Mister Beauty Algeria 2016. 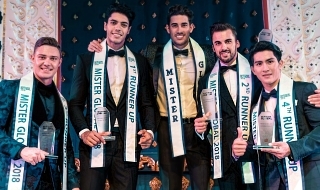 Will compete in Mister Tourism World 2018 in Italy. 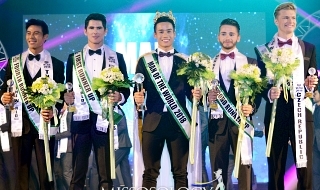 Karim Semcha - Mister Algeria Ambassador 2018. Will compete in Mister Universal Ambassador 2018 in India. Abd Rahim Tahri - Mister Eco Algeria 2018. Will compete in Mister Eco International 2018 in Egypt. Riad Ali Chaouch - Mister Beauty Algeria 2017 and Manhunt Algeria 2016. Might represent Algeria internationally. Amar Mohammedi - Mister Gold Algeria 2018. Might represent Algeria internationally. Selim Tabet - Mister Ocean Algeria 2018. Will compete in Mister Ocean 2018 in China. Last edited by Fany on Sat Jan 12, 2019 4:51 am, edited 4 times in total. Where is ageria? I wanna go there? Algeria is somewhere near Bohol. Amar Mohammedi, Mister Gold Algeria 2018, will compete in Mister Continental International 2018 in the Philippines. Kamel Sahraoui was elected last week as Mister Beauty Algeria 2018. 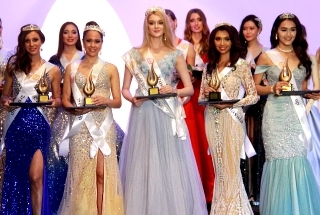 The pageant was organized by ADA Dream agency, in the city of Oran. Algeria is in Northwest Africa, along with Tunisia. Morocco, Libya, and Mauritania. The region (also called Maghreb) is predominantly fairer-skinned than the rest of Africa due to hundreds of years of migrations from Southern Europe, the Turkish lands, and the Middle East. That explains why most of the Maghrebis, particularly the Tunisians, Moroccans, and Algerians, look Arabic and Caucasian. True, but the predominant ethnic make up of Northwest Africans is Berber / Amazigh. Berbers are the indigenous people of Northwest Africa and the first to inhabit it. Throughout the successive invasions and migrations to this region, Berbers have mixed with Southern Europeans and Middle Easteners, and in the Sahara with Subsaharan Africans, creating a mosaic of cultures. Berber heritage remains strong in some regions of Northwest Africa, particularity in the mountains. Fany, your region--especially Tunisia, Morocco, and Algeria--is on my bucket list of 100 places to experience in my lifetime.